The Financial Times has ranked a course offered by DCU Business School in its top business programmes table for the first time. The MSc in Management was ranked 86th out of 90 business related courses globally – DCU being the youngest university to make the list. 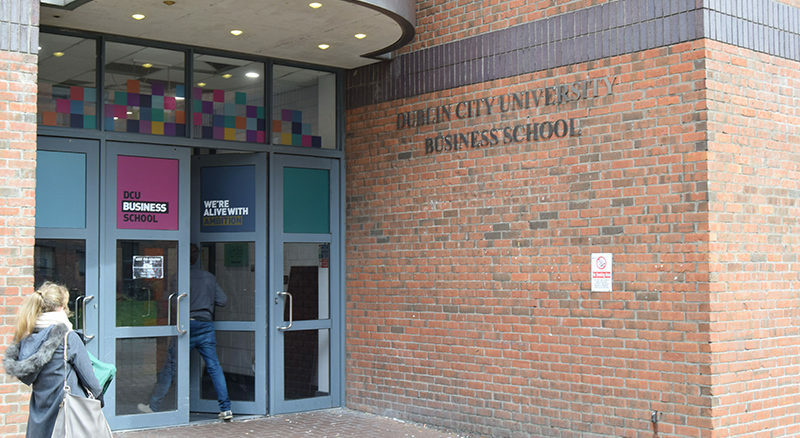 “As the Financial Times is considered one of the leading ranking systems for business programmes, it is a very significant achievement and another international endorsement of DCU’s quality as a young and dynamic university” said the university. The average alumni salary of an MSc in Management graduate is $45,564 per annum, with 82-87% of graduates employed within three months of receiving their degree, according to the Financial Times assessment. The MSc in Management course at DCU costs €13,400, with 65 students enrolled in the 2015/2016 academic year – 82% of the class completing a company internship as part of the course. The Financial Times also found that 46% of DCU Business School students in 2015/2016 were international and 54% were female – 80% of the faculty had doctorates and 49% of the faculty were female. “The ranking indicates that we are placed among the top universities in the world which deliver an MSc in Management Programmes and further confirms our position as an innovative and quality business school, which prepares our graduates to be work-ready” said Professor Anne Sinnott, Executive Dean of DCU Business School. Earlier this year, DCU was accredited by the AACSB – according to the university, the Financial Times ranking is yet “another acknowledgement of the quality and success” of DCU Business School’s programmes.